Carlist.my, Malaysia’s no. 1 car site in partnership with 23 Motors Sdn Bhd, Malaysia’s first, largest and only muscle car dealership, has recently launched the exclusive Grand Prix Challenge 2017 contest on Carlist.my’s online marketplace, giving Malaysians a once-in-a-lifetime opportunity to drive home with a muscle car worth up to RM 450,000. Country Manager of Carlist.my Malaysia, PC Gan and Managing Director of 23 Motors Sdn Bhd, Datuk Kaathir Mustaffa were present at the gallery of 23 Motors to officially flag-off the start of the contest roadshow that will see one of the three muscle cars up for grabs, travelling to over 52 popular locations throughout Peninsular Malaysia. PC Gan, General Manager of Carlist.my giving her opening remarks and expressing her excitement towards roadshow which will be making a stop at 52 popular locations throughout Peninsular Malaysia and also at Carlist.my MAA Drive Test & Buy Event 2017 at Setia City Convention Centre on 13th & 14th May 2017. 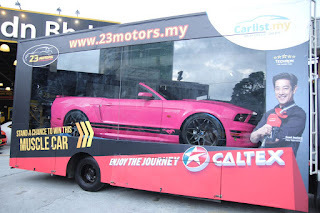 The eccentric pink 2011 Ford Mustang 4.0 Litre V6 Convertible will be up for grabs! 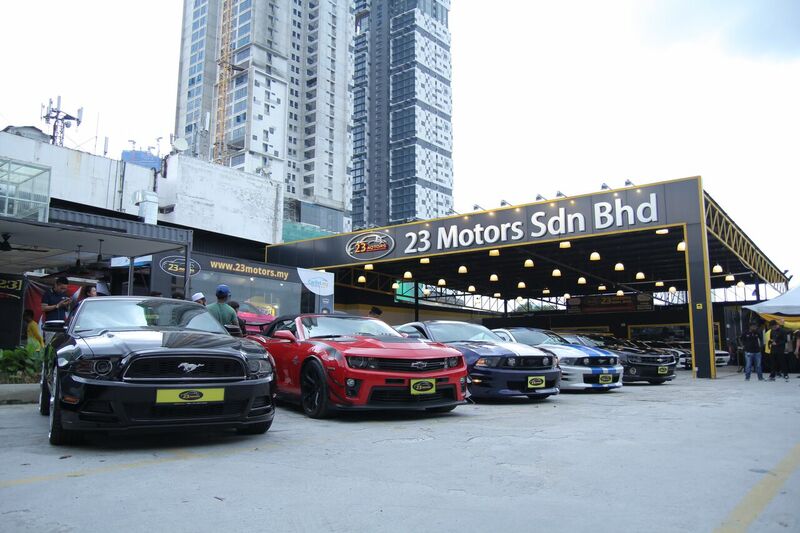 The 2011 Ford Mustang 4.0 Litre V6 Convertible will be racing across 52 locations across the country before making a stop at Carlist.my MAA Drive Test & Buy Event 2017 at Setia City Convention Centre on 13th & 14th May 2017. Interested participants and car enthusiasts alike will not want to miss the opportunity to catch a glimpse of the 2011 Ford Mustang 4.0 Litre V6 Convertible that comes in pink colour. The muscle car will be making its round across the country, making a stop on May 13th 2017 in Klang Valley, just in time for the Carlist.my MAA Drive, Test and Buy Event 2017. 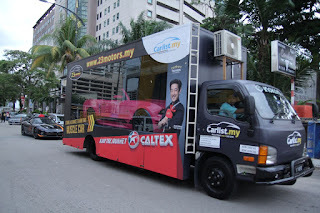 Roadshow visitors can stand a chance to win Carlist.my’s merchandise and petrol cards worth RM30 offered by Caltex, the official Fuel Partner for both events. Alongside the Ford Mustang, the grand prize winner will also have a choice of walking away with the 2012 Chevrolet Camaro LT-RS 3.6 or the 2011 Dodge Challenger 3.6 Liberty Walk. 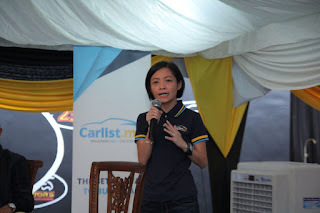 "Our goal as an online car marketplace is to help make the car buying process more exciting and convenient by giving customers a one-stop platform that displays both a large selection of vehicles and the latest attractive deals, says PC Gan, Country Manager of Carlist.my Malaysia.In line with our company’s goal to get our customers excited about buying cars, we have decided to work together with 23 Motors to give Malaysians their first look into a new horizon of stylish muscle cars and provide them with more opportunities to own a piece of classic American style." In addition to the Carlist.my Grand Prix Challenge 2017, the online car marketplace is also organising the brand-new exhibition aimed at giving Malaysians of all budgets a new on-ground platform to see, test and purchase their dream car - the Carlist.my MAA Drive, Test and Buy Event 2017 from 13th to 14th May will feature over 13 popular automotive brands with exclusive promotion and deals. Exclusive to the event, from 13th and 14th May, participating bank Public Bank will be providing the best rates in town. Additionally, Caltex the event’s official fuel partner will be giving away RM30,000 worth of fuel to test drive participants. 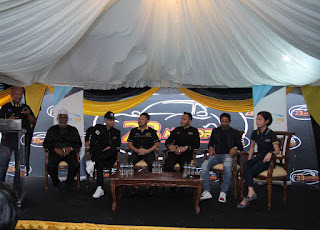 The event held at Setia City Convention Center is also the first and only automotive exhibition in Malaysia that features both an on-road and off-road track area to allow visitors to put their cars to the test before making an informed decision. For more information about the Grand Prix Challenge 2017 contest or about Carlist.my, please visit https://www.carlist.my. Listed on the Australia Securities Exchange, iCar Asia (ASX: ICQ) owns and operates ASEAN’s No.1 network of automotive portals. 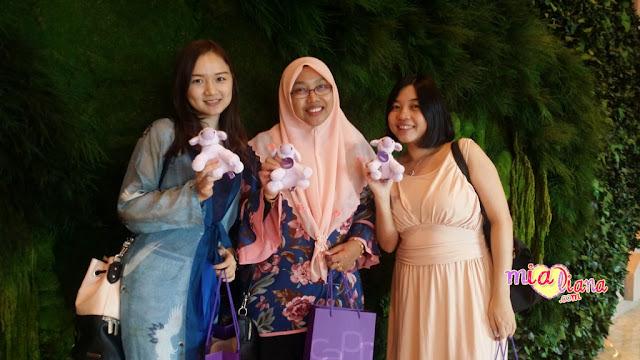 Headquartered in Kuala Lumpur, Malaysia, the company is focused on developing and operating leading automotive portals in Malaysia, Indonesia and Thailand. iCar Asia is continuously working to capitalize on its market-leading positions, with its online properties currently reaching over 6.1 million car buyers and sellers in the region every month.